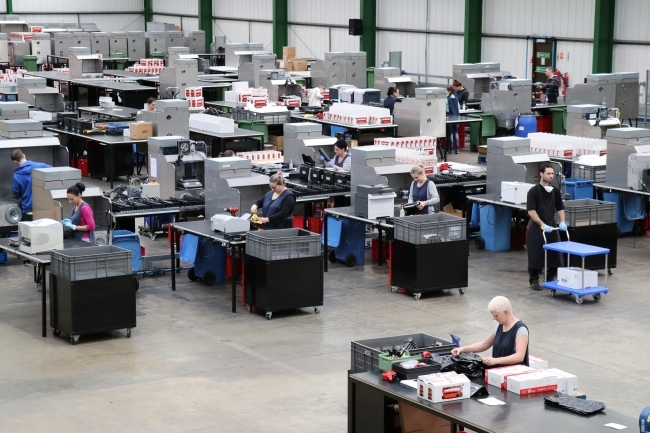 It can be challenging for manufacturers to meet performance expectations as well as having to meet the demands of varying regulations, environmental compliance and not forgetting, a social conscience. However, in a society where the consumer is considered king – and is also becoming increasingly aware of ethics within businesses – can a manufacturer really afford not to have all their bases covered? The answer is no. The development of a business or brand, means building a reputation upon trust and reliability. It is about investing in your workforce and being transparent about your products, services and processes, and it does not pay to be haphazard or completely ignorant in your approach to these elements. In the Far East for example, recent years have seen improvements in businesses being more ethical, but it is difficult for their manufacturing industry to escape the negative reputation perceived by the Western world. Products from the region are commonly associated with negative terms such as ‘cheap’ and ‘mass produced’. The damage has long since been done, and a history of international brands looking for low-wage labour has further marred their image. So why do consumers still buy from so far afield? Price. It comes down to how much they are willing to spend. But, do consumers really know where their products come from? Do they understand the cost to the environment? In most cases, the answer to both of the above questions, is no. When it comes to items like printer cartridges, many people are lured in by the basement prices of compatible, copy or counterfeit versions without knowing the impact they have on the environment or those involved in their manufacture. Firstly, few people realise that these types of cartridges are manufactured overseas – mainly in the Far East. As mentioned, there have been ethical improvements among businesses in this part of the world, however, poor working conditions are still found within so many Far East factories, most notably in China. The average monthly salary for an industry worker in China (including vast amounts of overtime) is the equivalent of just £150 with workers enduring long working hours over all seven days of the week – many without an official employment contract. Also, female migrant workers, who are primarily employed in factories, rarely receive maternity leave. Another important aspect to consider when purchasing these items, is the impact that their manufacture and supply chain can have on the environment. It is fairly typical for compatible or counterfeit cartridges to be imported to the UK from overseas, mainly the Far East, and the lengthy shipping process involved can be extremely costly, and not so eco-friendly. The effect on the environment doesn’t stop at shipping issues. In fact, the materials used in the manufacture of these cartridges are also a huge issue. Compatible and counterfeit cartridges are made entirely from brand new components and contain no recycled elements whatsoever. This is made all the more alarming when you consider that up to 3.5 liters of oil are used in the manufacture of a new toner cartridge and that a staggering 45 million printer cartridges end up in landfill in the UK every year. The same accusation cannot be levied at remanufactured cartridges. When an original cartridge is remanufactured, many of the original components are re-used, providing they are still functional. It may stagger you to hear that a toner cartridge can be remanufactured up to seven times and that 97% of its components can actually be re-used. It is also worth considering that remanufactured cartridges use half the amount of oil in their manufacture in comparison to compatibles and that when plastic is remanufactured, 80% less energy is used in comparison to original production. While they may not have the basement prices of compatible or counterfeit cartridges, remanufactured versions can still save consumers up to 70% on their printing costs in comparison to original versions, without forcing them to sacrifice on quality. UK based printer cartridge remanufacturers, Red Bus Cartridges are one of many companies who prioritise ethical and environmentally friendly manufacturing. The remanufactured printer cartridge specialists are based in Boston, Lincolnshire. 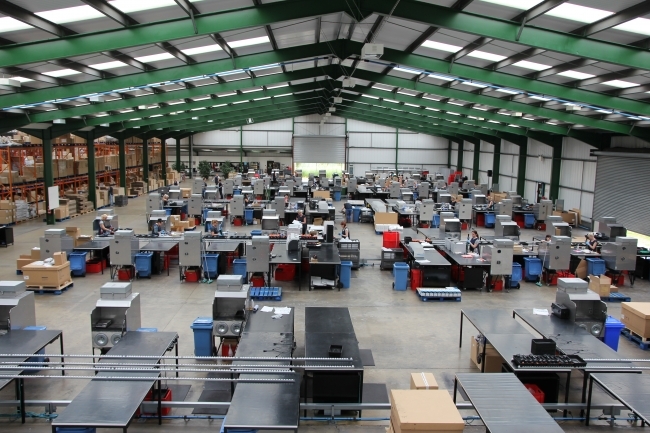 Their entire cartridge remanufacturing process, from start to finish, is completed at their 40,000m² purpose built factory, enabling their carbon footprint to be kept to a minimum. Red Bus Cartridges also see staff development and well-being as being vital. Employees are given full training and are briefed fully when it comes to health and safety. They are also given regular breaks, annual leave and a contract of employment along with maternity and paternity leave where applicable. It is the same for many industries – not just printing. Scrimping on quality and having to import from afar naturally affects the end product in a negative way and the old adage of ‘you get what you pay for’ certainly applies. Let’s not forget, purchasing from manufacturers closer to home can help reduce environmental impact, and can mean a higher standard of production, and therefore, product. Consumers are focused on getting their product for the lowest price possible, and in the bargain driven world we live in, that is totally understandable. But when you consider the ethical and environmental effects, can you afford to spend a little bit more to prevent harm?